A general college where students can aim to find jobs in a variety of fields, such as management, the Web, and personal computers. 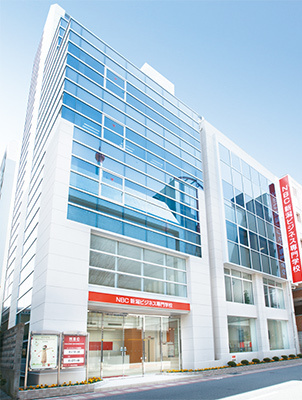 This is a general business college where students can aim to find jobs in a variety of fields from management, the Web, advertising design, personal computers, sales, and medical office work to general office work. It is a traditional school with 37 years of history and accepts international students each year. A class supervisor, an assistant supervisor, and an employment counselor provide guidance tailored to each student toward the acquisition of a job. Harmonick Co., Ltd., Fusion’z co., ltd., Imayo Tsukasa Shuzo Co., Ltd., Toyota COROLLA Niigata Co., Ltd., Niigata Nissan Motor Co., Ltd., etc. Students study overall business including management and acquire management skills required to run a company or a store in the future. 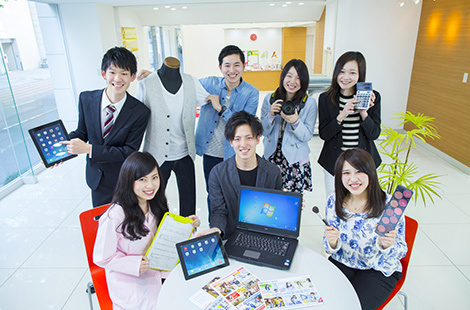 Students acquire a wide range of business knowledge by managing a real online shop while in college. Students acquire creation, planning, and presentation skills by creating free newspapers from scratch while in college. Students actually plan and operate a wide variety of events, including sports, music, school festivals, and athletic festivals. Students acquire a wide range of PC skills that encompass everything from systems and networks to the use of Microsoft Office. Students acquire skills required of office workers, including business manners and knowledge concerning personal computers and money. Students can aim to find jobs in the hospitality and service industry, including fashion, beauty, sundries, and interior goods. Students obtain qualifications and knowledge required to become medical receptionists who work at front desks or in accounting sections of hospitals. Students obtain qualifications and knowledge required for receptionists and clerical and accounting work at pharmacies. Students acquire qualifications and knowledge, which are required to work at dental clinics (receptionist, clerical work, accounting) and support dentists. This is a course where students aim to obtain employment in one year. They choose a major course from management, personal computer, clerical work, and sales courses. This is a one-year course where students aim to acquire qualifications and knowledge required to become medical office assistants at hospitals, pharmacies, or dental clinics.